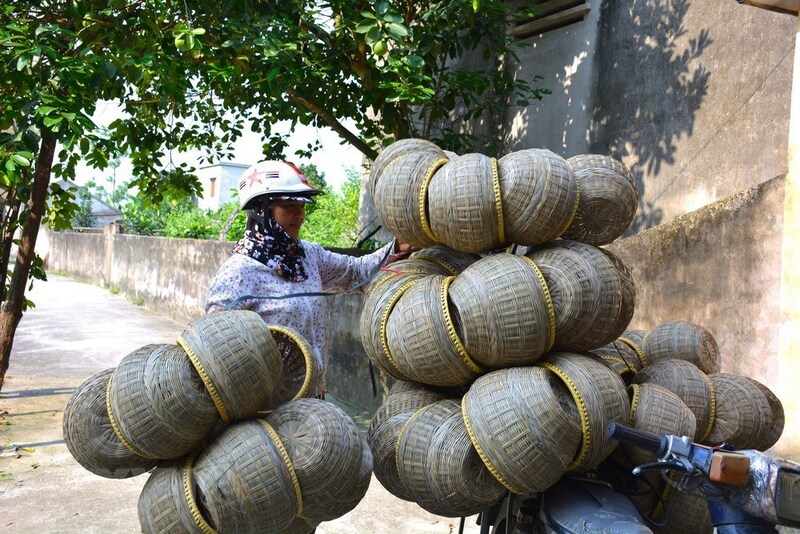 People in My Hung commune of the northern province of Nam Dinh still keep the tradition of making “gianh tich” (teapot warmer basket) by hands. 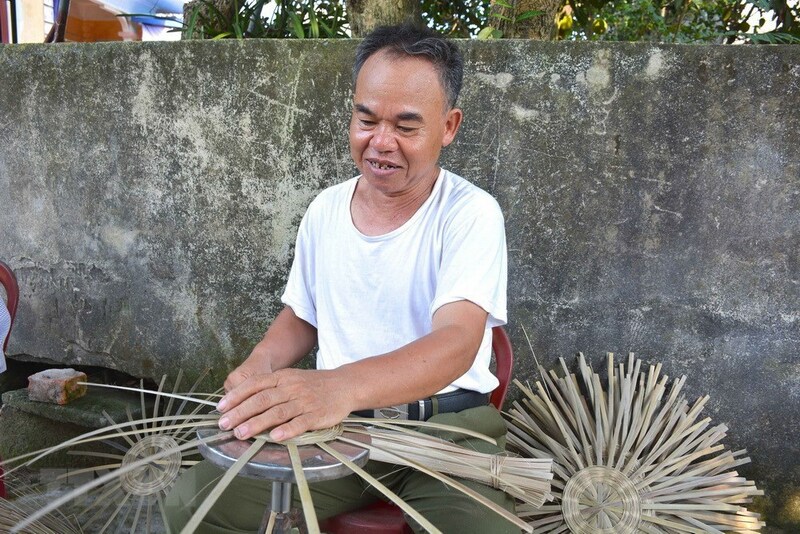 A man in Goi village of My Hung commune weaves the baskets (Photo: VNA). 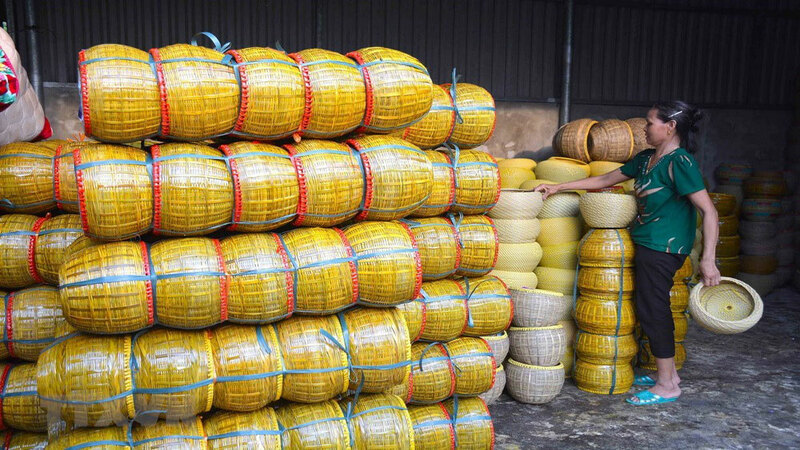 The 100-year-old teapot basket making Goi village is on the verge of extinction, as only senior citizens continue the tradition (Photo: VNA). 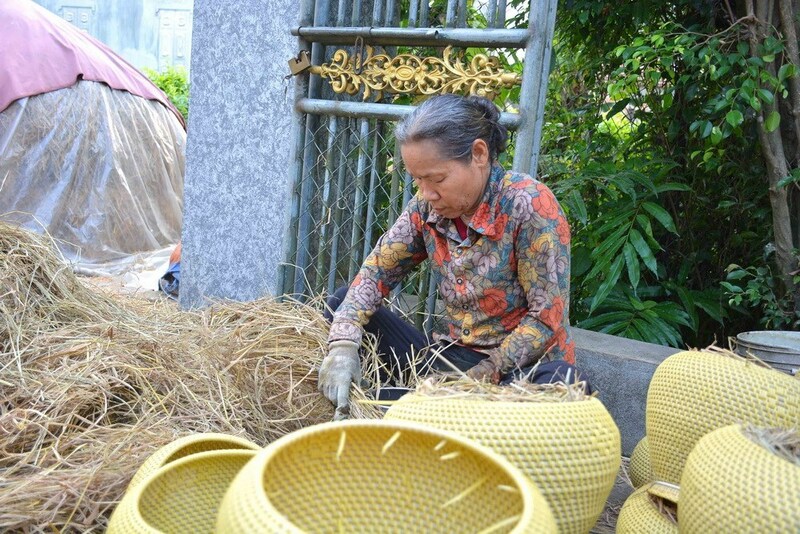 Teapot baskets made in Goi village are sent to many localities across the country for selling (Photo: VNA). 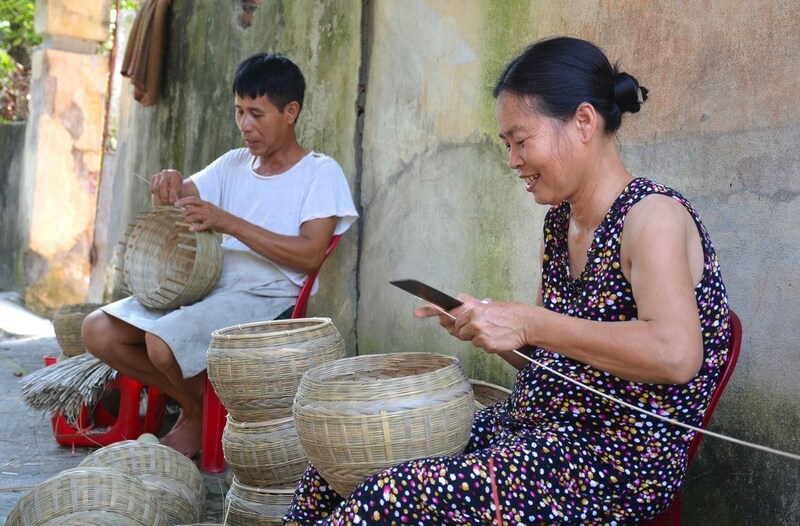 The villager tries to keep the craft alive.